Passage(s) that give(s) the answer. McAdam’s surface layer - hot tar onto which a layer of stone chips was laid - became known as ‘tarmacadam’, or tarmac. We can draw from the title of the diagram (Flexible Pavement) that the information we need is in the third paragraph: “Roads of this kind were known as flexible pavements”. The text described “tarmacadam” as the surface layer of a road which is formed by pouring “hot tar” onto stone chips. Thus, the answer for question 1 is “hot tar”. The middle layer was described to be five centimetres thick: “ which was compacted to a thickness of just five centimetres”. Since it’s underneath the surface layer and on the ground, we can also rephrase it as “five centimetres” deep. The middle layer consists of three components: crushed stone, stone dust, and water. Therefore, the answer for question 3 is “water”. Do the following statements agree with the information given in Reading Passage 1 ? 4 TRUEFALSENOT GIVEN Road construction improved continuously between the first and eighteenth centuries. 5 TRUEFALSENOT GIVEN In Britain, during the nineteenth century, only the very rich could afford to use toll roads. 6 TRUEFALSENOT GIVEN Nineteenth-century road surfaces were inadequate for heavy motor traffic. 7 TRUEFALSENOT GIVEN Traffic speeds on long-distance highways were unregulated in the early part of the twentieth century. Q4. Road construction improved continuously between the first and eighteenth centuries. At the peak of the Roman Empire in the first century ad, Rome had road connections totalling about 85,000 kilometres. New roads were generally of inferior quality. achievements of Roman builders were largely unsurpassed until the resurgence of road-building in the eighteenth century. If road construction did improve continuously, newer roads should be better than the ones built before it, including the ones by the Romans in the first century. “were largely unsurpassed until the resurgence in the eighteenth century”. “New roads were generally of inferior quality ”. Therefore, the statement is “FALSE”. Q5. In Britain, during the nineteenth century, only the very rich could afford to use toll roads. men such as John McAdam and Thomas Telford had created a British road network totalling some 200,000 km, of which about one sixth was privately owned toll roads called turnpikes. And that they were privately owned. The writer didn’t mention how much were the fees to use these toll roads. Therefore, we can’t conclude that only the rich could afford to use toll roads. It is “NOT GIVEN”. Q6. Nineteenth-century road surfaces were inadequate for heavy motor traffic. Word/Term Explanation: ever-increasing: constantly increasing, continuously increasing. Word/Term Explanation: inadequate: not sufficient, not good enough. Connecting the keywords, we can see it’s a paraphrase of the statement: ever-increasing use of motor vehicles break up roads built to nineteenth-century standards. Q7. Traffic speeds on long-distance highways were unregulated in the early part of the twentieth century. The demands of heavy traffic led to the concept of high-speed, long-'distance roads , with access - or slip-lanes - spaced widely apart. The US Bronx River Parkway of 1925 was followed by several variants - Germany’s autobahns and the Pan American Highway. Such roads - especially the intercity autobahns with their separate multi-lane carriageways for each direction - were the predecessors of today’s motorways. .
Word/Term Explanation: “high-speed, long distance roads” is another way to call “long-distance highways”. Therefore, we know this is the paragraph providing us with the information we need. They became necessary since road traffic had increased dramatically: “The demands of heavy traffic led to the concept of high-speed, long-'distance roads”. “the intercity autobahns with their separate multi-lane carriageways for each direction”. Use ONE WORD ONLY from the passage for each answer. • Made of wood or metal. • Has a suspended deck. • More 13 than the suspension bridge. The development by the Romans of the arched bridge marked the beginning of scientific bridge-building . “Introduced by the Romans” and the “the Romans marked the beginning” can be both interpreted as: the Romans were the first to create/make/develop arched bridges. arched bridges are very strong. Most were built of stone , but brick and timber were also used . “made of” and “built of“ are synonym, and since we know the answer is the “usual“ material, it should be stone, not brick or timber. Such bridges are nevertheless light . the deck is strengthened to control distortion . The sentence can be interpreted as: “Such bridges (suspension bridges) are strong but nevertheless/but still/yet light. This question is quite straightforward. The only information provided for Akashi Kaikyo bridge is that it has the “longest” span. Cantilever bridges, such as the 1889 Forth Rail Bridge in Scotland, exploit the potential of steel construction to produce a wide clearwater space . Question 12 asks for the material that cantilever bridges are made of. This has the same meaning as “made of”. Therefore, we know the answer is “steel”. Q13. More _____ than the suspension bridge. The suspension bridges even though can stretch longer, they are less stable than the cantilevers. The correct answer is “stable”. Look at the following characteristics (Questions 14-18) and the list of species below. Match each feature with the correct species, A, B or C.
14 ABC Once lived in Europe and Asia. 15 ABC Originated in Africa. 16 ABC Did not survive long after the arrival of immigrants. 17 ABC Interbred with another species. 18 ABC Appears not to have passed on mitochondrial DNAto another species. Q14. Once lived in Europe and Asia. Homo Neanderthalensis , to give its proper name, lived in Europe and parts of Asia from 400,000 years ago to 30,000 years ago. Towards the end of this period, it shared its range with interlopers in the form of Homo sapiens . Word/Term Explanation: shared its range: can be interpreted in this context as “they shared the same habitat”. Word/Term Explanation: interlopers: people who move to another region without its local residents’ permission/consent. Therefore, this part of the text can be interpreted as “About 30,000 years ago, both Homo sapiens and Homo Neanderthalensis lived/shared their range in Europe and Asia”. The answer for this question is C. both Homo Neanderthalensis and Homo sapiens. in the form of Homo sapiens, who were spreading out from Africa . Word/Term Explanation: “spreading out from” means people moving away from one place to another so they cover a larger area. There is no further information in the article to verify whether the Neanderthalensis originated in Africa as well or not. Q16. Did not survive long after the arrival of immigrants. However, the two species did not settle down to a stable cohabitation. For reasons which are as yet unknown , the arrival of Homo sapiens in a region was always quickly followed by the disappearance of Neanderthals . Q17. Interbred with another species. Previous genetic analysis had suggested no interbreeding between Neanderthals and modern humans . The new, more extensive examination, shows this conclusion is wrong . That is intriguing. It shows that even after several hundred thousand years of separation, the two species were interfertile .. In paragraph D, we can see that: “previous analysis suggested no interbreeding, however, a more careful examination shows this conclusion is wrong”. Which means interbreeding did indeed happen between the two species. Paragraph E confirms this information one more time: “the two species were interfertile”. Word/Term Explanation: “modern humans” is another name for “Homo sapiens”. Therefore, the answer is C. both Homo Neanderthalensis and Homo sapiens. Q18. Appears not to have passed on mitochondrial DNA to another species. It is strange, though, that no Neanderthal mitochondrial DNA has turned up in modern humans . In this context (genetics), when a species “pass on” its DNA, that DNA will “turn up” in its offsprings. However, the passage said that no mitochondrial DNA from Neanderthals has turned up in modern humans, or in other words, Neanderthals have not passed on their mitochondrial DNA. Previous genetic analysis, which had only examined DNA passed from mother to child in cellular structures called mitochondria, had suggested no interbreeding between Neanderthals and modern humans. The new, more extensive examination, which looks at DNA in the cell nucleus rather than in the mitochondria, shows this conclusion is wrong . An account of the rejection of a theory is the reason/explanation why that theory is rejected. As we can see, although several paragraphs mentioned different theories, only paragraph D told us how did that theory get rejected. For reasons which are as yet unknown , the arrival of Homo sapiens in a region was always quickly followed by the disappearance of Neanderthals. .
Word/Term Explanation: “event” is something that occurs in a certain place during a particular interval of time. Even though throughout the article, there were many parts mentioned unexplained/unclear bits of information, only “the arrival of Homo sapiens” and “the disappearance of Neanderthals” were actual events. More than that, they are linked together: “arrival of Homo sapiens in a region was always quickly followed by the disappearance of Neanderthals”. Therefore the answer is “B”. By contrast an earlier phase of the study had already shown that Neanderthals and moderns share the same version of a gene called FOXP2, which is involved in the ability to speak . The evolutionary processes that have made modern humans so different from other animals are hard to determine without an ability to examine human species that have not achieved similar things . have made such a comparison possible . 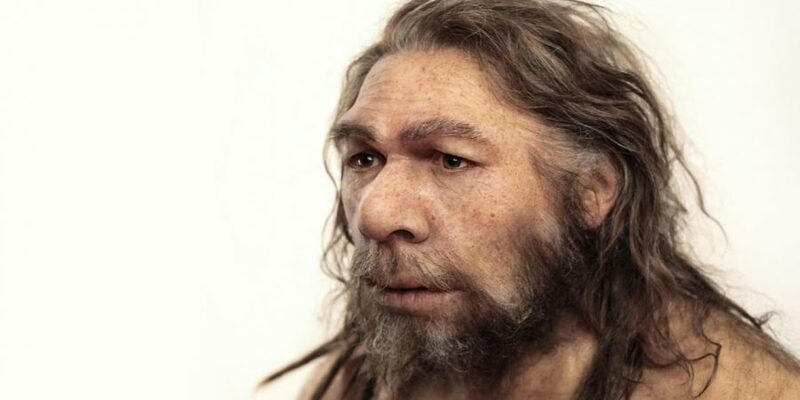 they made public an analysis of the genome of Neanderthal man . Word/Term Explanation: An “announcement” is something that someone says officially to the public. Or in other words, it is the result of something being “made public”. That is intriguing. It shows that even after several hundred thousand years of separation, the two species were inter-fertile . It is strange, though, that no Neanderthal mitochondrial DNA has turned up in modern humans , since the usual pattern of invasion in historical times was for the invaders’ males to mate with the invaded’s females . Word/Term Explanation: “gap in existing knowledge” is the lack of knowledge/understanding. The gap in existing knowledge here is the reason why no Neanderthal mitochondrial DNA has turned up in modern human even though the usual behavior of the invaders is to mate with the invader’s females. There are some gaps in/lack of knowledge throughout the article. However, only this part was regarded by the writer as “intriguing”, “strange”, which are synonyms of “interesting”. Therefore, the answer is “E”. Recent work in the field of evolutionary anthropology has made it possible to compare modern humans with other related species. Genetic analysis resulted in several new findings. First, despite the length of time for which Homo sapiens and Homo neanderthalensis had developed separately, 24 did take place. The potential for this line of research to shed light on the nature of modern humans was further strengthened when analysis of a 26 led to the discovery of a new human species. 24. First, despite the length of time for which Homo sapiens and Homo Neanderthalensis had developed separately, 24 did take place. It shows that even after several hundred thousand years of separation, the two species were inter-fertile . Previous genetic analysis had suggested no interbreeding between Neanderthals and modern humans. The new, more extensive examination shows this conclusion is wrong. People may confuse “interfertile” for an answer since the sentence in this question is very similar to the corresponding sentence in the article. However, “interfertile” is an adjective while the blank requires a noun. Hence, “interbreeding” is the answer. The newly evolved regions of DNA also include a gene called RUNX2, which controls bone growth . That may account for differences in the shape of the skull and the rib cage between the two species . Paragraph F and G started mentioning the differences in DNA after modern humans and Neanderthals split. And while paragraph F addressed cognitive ability, paragraph G addressed bone growth which resulted in some changes in the shape of the skull and rib. Since “skeletal” is a synonym of “bone”, growth is the right answer. Q26. The potential for this line of research to shed light on the nature of modern humans was further strengthened when analysis of a 26 led to the discovery of a new human species. Another of his teams has revealed the existence of a hitherto unsuspected species of human, using mitochondrial DNA found in a little-finger bone . If that species, too, could have its full genome read, humanity’s ability to know itself would be enhanced even further. .
And this discovery was made possible thanks to DNA found in a ”little-finger bone”, which is” also the answer for question 26. 27 YESNONOT GIVEN It is more than a thousand years since people started to catch fish for commercial use. 28 YESNONOT GIVEN In general, open access to the oceans is still regarded as desirable. 29 YESNONOT GIVEN Sea fishing is now completely banned in the majority of protected areas. 30 YESNONOT GIVEN People should be encouraged to reduce the amount of fish they eat. 31 YESNONOT GIVEN The re-introduction of certain mammals to the Mediterranean is a straightforward task. Q27. It is more than a thousand years since people started to catch fish for commercial use. Word/Term Explanation: “for commercial use” means for selling/making money rather than for private use/consumption. Word/Term Explanation: “cast their nets and hooks” means to catch fishes in large amounts. Q28. In general, open access to the oceans is still regarded as desirable. [ ] For centuries, as fishing and commerce have expanded, we have held onto the notion that the sea is different from the land. We still view it as a place where people and nations should be free to come and go at will, as well as somewhere that should be free for us to exploit . Word/Term Explanation: If something has “open access”, it is available to everyone. Or in other words, everyone should be free to come and go at will. Word/Term Explanation: It’s important to notice that “desirable” in this context means “advisable”, “recommendable” instead of “worth having” or “worth wanting”. “Still view it” (“it” here implies “the oceans”) and “is still regarded” have the same meaning. The first was written in active voice while the second was paraphrased in passive voice. Q29. Sea fishing is now completely banned in the majority of protected areas. Worse still, most marine protected areas allow some fishing to continue . Tracking “protected areas” in the passage, we can easily find the information regarding this question. Q30. People should be encouraged to reduce the amount of fish they eat. This does not mean that marine reserves can rebuild fisheries on their own - other management measures are also required for that . Marine reserves lie at the heart of the reform . Reserves are a first resort . As we can see throughout the passage, the writer made it very clear that “marine reserves” is the most important means to protect the sea, he made it the main focus of this whole essay. Besides “marine reserves”, he did state that “other management measures are also required for that” , but did not specify which one, means that “People should be encouraged to reduce the amount of fish they eat” is also not mentioned. Therefore, the answer should be “NOT GIVEN”. Q31. The re-introduction of certain mammals to the Mediterranean is a straightforward task. The Mediterranean sailed by Ulysses, the legendary king of ancient Greece, supported abundant monk seals, loggerhead turtles and porpoises. Their disappearance through hunting and overfishing has totally restructured food webs, and recovery is likely to be much harder to achieve than their destruction was . Following “Mediterranean” and “mammals” we can easily find the paragraph that corresponds the statement. Word/Term Explanation: “straightforward” is an adjective means “simple” or “easy”. Word/Term Explanation: “re-introduction” means “bringing a species back to the region when it lived before”. And “recovery” in this context has the same meaning because when you bring back the extinct species to a certain region, you are “recovering” its ecosystems. The statement says: “re-introduction is a straightforward/simple task”. Meanwhile, the passage said that “recovery is likely to be much harder ”. Therefore, the correct answer is “NO”. What does the writer mean with the question, ‘How much time have we got?’ in the fifth paragraph? A Fisheries policies are currently based on uncertain estimates. B Accurate predictions will allow governments to plan properly. C Fisheries managers should provide clearer information. A. Fisheries policies are currently based on uncertain estimates. D. Action to protect fish stocks is urgently needed. Many fisheries managers are still wedded to the idea that one day their models will work, and politicians will listen to their advice. Just give the approach time, and success will be theirs . How much time have we got? . we are belatedly coming to realise that ‘natural refuges’ from fishing have played a critical role in sustaining fisheries . the sooner we act to protect marine life, the more certain will be our success . If we don’t break out of this cycle of failure could have ramifications for human life itself . Information regarding Option B and C is not provided by the writer. Although option A seems to be a plausible answer, it is not correct since fisheries managers are not “uncertain”, they have their “estimates” and they are certain that “success with be theirs”, that “their models will work”. In addition, the writer’s overall tone also implied that action is urgently needed. We can see it throughout the passage, and particularly, in the third, fourth and sixth paragraph (see underlined). Word/Term Explanation: “belatedly” means “too late” or “later than expected”. Word/Term Explanation: “ramifications” mean “consequences”. Therefore “D” is the correct answer. What is the writer’s comment on the Common Fisheries Policy? A Measures that it advocated were hastily implemented. B Officials exaggerated some of its recommendations. C It was based on predictions which were inaccurate. Q33. What is the writer’s comment on the Common Fisheries Policy? C: It was based on predictions which were inaccurate. The Common Fisheries Policy, the European Union’s instrument for the management of fisheries and aquaculture, exemplifies the worst pitfalls : flawed models, flawed advice . When it all went wrong, as it inevitably had to, . Word/Term Explanation: A “model” in this context (politics/making policies) is a strategy or a plan of action designed to achieve a long-term or overall goal. A model needs “predictions” to make plans of action accordingly. Since the writer said that the models were flawed, we can safely assume that the predictions were inaccurate. Looking at the 4 options, we can see that option C has the closest meaning to the writer’s view of the Common Fisheries Policy. Other options A, B, and D was not provided by the writer. Therefore, “C” is the correct answer. What is the writer’s conclusion concerning the decline of marine resources? A The means of avoiding the worst outcomes needs to be prioritised. B Measures already taken to avoid a crisis are probably sufficient. C The situation is now so severe that there is no likely solution. D It is no longer clear which measures would be most effective. Q34. What is the writer’s conclusion concerning the decline of marine resources? A: The means of avoiding the worst outcomes needs to be prioritised. We can go a long way to avoiding this catastrophic mistake with simple common sense management . Marine reserves lie at the heart of the reform . They have to be placed centre stage as a fundamental underpinning for everything we do in the oceans. Reserves are a first resort, not a final resort when all else fails . We can do this question correctly by eliminating all the wrong options. Option B is outright wrong since the whole article was about we are not doing enough to protect the oceans. Option C is only half-correct, the situation is severe but there are solutions for it. There not enough information to verify option D, besides, the writer was focusing on the need to implement the most important measure - “marines reserves” - before considering any additional measures. Or can do it by validating option A. As we know, the means of avoiding the worst outcomes in option A is “marines reserves”. And it was described to be the “fundamental underpinning” and the “first resort”, this means, it should be the first to implemented, or in other words, it should be “prioritised”. Both method give us the right answer - “A”. Complete the summary using the list of words/phrases, A-J, below. Up till the twentieth century the world’s supply of fish was sufficient for its needs. It was unnecessary to introduce 35 ABCDEFGHIJ of any kind, because large areas of the oceans were inaccessible. However, as 36 ABCDEFGHIJ improved, this situation changed, and in the middle of the twentieth century, policies were introduced to regulate 37 ABCDEFGHIJ . These policies have not succeeded. Today, by comparison with 38 ABCDEFGHIJ the oceans have very little legal protection. Despite the doubts that many officials have about the concept of 39 ABCDEFGHIJ , these should be at the heart of any action taken. The consequences of further 40 ABCDEFGHIJ are very serious, and may even affect our continuing existence. Q35. Up till the twentieth century the world’s supply of fish was sufficient for its needs. It was unnecessary to introduce _______ of any kind, because large areas of the oceans were inaccessible. there was little need to restrict fishing or create protected areas . 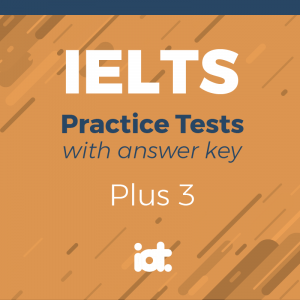 Question 35 - 40 is the summary of the whole passage with each question positioned in the same order as it appears in the article, which make it easy to follow and find the information we need. However, most of the missing words in the passage are replaced with their equivalent synonyms in the list. Therefore, in order to complete these questions, knowing which word has the same meaning as the missing word (contextually) is important. Thanks to “unnecessary” having the same meaning as “little need”, we know that the answer is a noun equivalence of “restrict fishing”, and looking at the list, “control” is the only possible answer. The twentieth century heralded an escalation in fishing intensity that is unprecedented in the history of the oceans, and modern fishing technologies leave fish no place to hide. Today, the only refuges from fishing are those we deliberately create. . In the twentieth century, the missing word in question 36 is the thing that improved and changed the situation (the fishing industry), which can only be the “modern fishing technologies”, and because “techniques” is a synonym of “technologies”, we can safely assume “fishing techniques” is the answer. Because of this improvement in the fishing industry, the sea ecosystems became endangered. Policies were introduced to regulate the missing thing in question 37. We know that answer for question 37 is something that needs to be regulated in order to protect the sea. Looking at the list, “fish catches” is the only possible answer. Besides, creating “refuges from fishing” is one way to reduce “fish catches” as well. 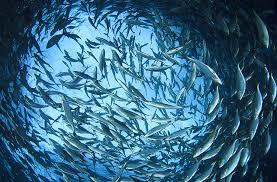 Because of the improvement in the fishing industry, the sea ecosystems became endangered. Policies were introduced to regulate (37). We know that (37) is something needs to be regulated in order to protect the sea. Looking at the list, “fish catches” is the only possible answer. Besides, creating “refuges from fishing” is one way to reduce “fish catches” as well. Q38. These policies have not succeeded. Today, by comparison with _______ the oceans have very little legal protection. Unhappily, the sea trails far behind the land in terms of the area and the quality of protection given . This question is quite straightforward, regarding legal protection, the sea was (according to the article), and could only (according to common sense) , be compared with “the land”. Q39. Despite the doubts that many officials have about the concept of _______ , these should be at the heart of any action taken. To some people, creating marine reserves is an admission of failure . To have “doubts” about something is to believe it will “fail”. And according to paragraph 5, it was “marine reserves” that people have doubts about. Secondly, “marine reserves” was also believed by the writer to be the heart of the reform. Both of these point out that “marine reserves” is the right answer. Q40. The consequences of further _______ are very serious, and may even affect our continuing existence. If we don’t break out of this cycle of failure , humanity will lose a key source of protein, and much more besides. Disrupting natural ecosystem processes, such as water purification, nutrient cycling, and carbon storage, could have ramifications for human life itself . According to the statement, we know that the answer for question 40 is something if we dont break out from/let it continue further, the consequences/ramifications may affect our continuing existence/human life itself. Looking at the list, the only plausible option is “failure”. Great thanks to volunteer Anh Kiệt Trương has contributed these explanations. Although there were highway links in Mesopotamia from as early as 3500 bc, the Romans were probably the first road-builders with fixed engineering standards. At the peak of the Roman Empire in the first century ad, Rome had road connections totalling about 85,000 kilometres. Roman roads were constructed with a deep stone surface for stability and load-bearing. They had straight alignments and therefore were often hilly. The Roman roads remained the main arteries of European transport for many centuries, and even today many roads follow the Roman routes. New roads were generally of inferior quality, and the achievements of Roman builders were largely unsurpassed until the resurgence of road-building in the eighteenth century. With horse-drawn coaches in mind, eighteenth-century engineers preferred to curve their roads to avoid hills. The road surface was regarded as merely a face to absorb wear, the load-bearing strength being obtained from a properly prepared and well-drained foundation. Immediately above this, the Scottish engineer John McAdam (1756-1836) typically laid crushed stone, to which stone dust mixed with water was added, and which was compacted to a thickness of just five centimetres, and then rolled. McAdam’s surface layer - hot tar onto which a layer of stone chips was laid - became known as ‘tarmacadam’, or tarmac. Roads of this kind were known as flexible pavements. By the early nineteenth century - the start of the railway age - men such as John McAdam and Thomas Telford had created a British road network totalling some 200,000 km, of which about one sixth was privately owned toll roads called turnpikes. In the first half of the nineteenth century, many roads in the US were built to the new standards, of which the National Pike from West Virginia to Illinois was perhaps the most notable. In the twentieth century, the ever-increasing use of motor vehicles threatened to break up roads built to nineteenth-century standards, so new techniques had to be developed. On routes with heavy traffic, flexible pavements were replaced by rigid pavements, in which the top layer was concrete, 15 to 30 centimetres thick, laid on a prepared bed. Nowadays steel bars are laid within the concrete. This not only restrains shrinkage during setting, but also reduces expansion in warm weather. As a result, it is, possible to lay long slabs without danger of cracking. The demands of heavy traffic led to the concept of high-speed, long-'distance roads, with access - or slip-lanes - spaced widely apart. The US Bronx River Parkway of 1925 was followed by several variants - Germany’s autobahns and the Pan American Highway. Such roads - especially the intercity autobahns with their separate multi-lane carriageways for each direction - were the predecessors of today’s motorways. The development by the Romans of the arched bridge marked the beginning of scientific bridge-building; hitherto, bridges had generally been crossings in the form of felled trees or flat stone blocks. Absorbing the load by compression, arched bridges are very strong. Most were built of stone, but brick and timber were also used. A fine early example is at Alcantara in Spain, built of granite by the Romans in AD 105 to span the River Tagus. In modern times, metal and concrete arched bridges have been constructed. The first significant metal bridge, built of cast iron in 1779, still stands at Ironbridge in England. Steel, with its superior strength-to-weight ratio, soon replaced iron in metal bridge-work. In the railway age, the truss (or girder) bridge became popular. Built of wood or metal, the truss beam consists of upper and lower horizontal booms joined by vertical or inclined members. The suspension bridge has a deck supported by suspenders that drop from one or more overhead cables. It requires strong anchorage at each end to resist the inward tension of the cables, and the deck is strengthened to control distortion by moving loads or high winds. Such bridges are nevertheless light, and therefore the most suitable for very long spans. The Clifton Suspension Bridge in the UK, designed by Isambard Kingdom Brunei (1806—59) to span the Avon Gorge in England, is famous both for its beautiful setting and for its elegant design. The 1998 Akashi Kaikyo Bridge in Japan has a span of 1,991 metres, which is the longest to date. Cantilever bridges, such as the 1889 Forth Rail Bridge in Scotland, exploit the potential of steel construction to produce a wide clearwater space. The spans have a central supporting pier and meet midstream. The downward thrust, where the spans meet, is countered by firm anchorage of the spans at their other ends. Although the suspension bridge can span a wider gap, the cantilever is relatively stable, and this was important for nineteenth-century railway builders. The world’s longest cantilever span - 549 metres - is that of the Quebec rail bridge in Canada, constructed in 1918. A The evolutionary processes that have made modern humans so different from other animals are hard to determine without an ability to examine human species that have not achieved similar things. However, in a scientific masterpiece, Svante Paabo and his colleagues from the Max Planck Institute for Evolutionary Anthropology, in Leipzig, have made such a comparison possible. In 2009, at a meeting of the American Association for the Advancement of Science, they made public an analysis of the genome  of Neanderthal man. B Homo neanderthalensis, to give its proper name, lived in Europe and parts of Asia from 400,000 years ago to 30,000 years ago. Towards the end of this period it shared its range with interlopers in the form of Homo sapiens , who were spreading out from Africa. However, the two species did not settle down to a stable cohabitation. For reasons which are as yet unknown, the arrival of Homo sapiens in a region was always quickly followed by the disappearance of Neanderthals. C Before 2009, Dr Paabo and his team had conducted only a superficial comparison between the DNA of Neanderthals and modern humans. Since then, they have performed a more thorough study and, in doing so, have shed a fascinating light on the intertwined history of the two species. That history turns out to be more intertwined than many had previously believed. D Dr Paabo and his colleagues compared their Neanderthal genome (painstakingly reconstructed from three bone samples collected from a cave in Croatia) with that of five living humans from various parts of Africa and Eurasia. Previous genetic analysis, which had only examined DNA passed from mother to child in cellular structures called mitochondria, had suggested no interbreeding between Neanderthals and modern humans. The new, more extensive examination, which looks at DNA in the cell nucleus rather than in the mitochondria, shows this conclusion is wrong. By comparing the DNA in the cell nucleus of Africans (whose ancestors could not have crossbred with Neanderthals, since they did not overlap with them) and various Eurasians (whose ancestors could have crossbred with Neanderthals), Dr Paabo has shown that Eurasians are between one percent and four percent Neanderthal. E That is intriguing. It shows that even after several hundred thousand years of separation, the two species were inter-fertile. It is strange, though, that no Neanderthal mitochondrial DNA has turned up in modern humans, since the usual pattern of invasion in historical times was for the invaders’ males to mate with the invaded’s females. One piece of self-knowledge, then - at least for non-Africans - is that they have a dash of Neanderthal in them. But Dr Paabo’s work also illuminates the differences between the species. By comparing modem humans, Neanderthals, and chimpanzees, it is possible to distinguish genetic changes which are shared by several species of human in their evolution away from the great-ape lineage, from those which are unique to Homo sapiens. F More than 90 percent of the ‘human accelerated regions’  that have been identified in modem people are found in Neanderthals too. However, the rest are not. Dr Paabo has identified 212 parts of the genome that seem to have undergone significant evolution since the species split. The state of genome science is still quite primitive, and it is often unclear what any given bit of DNA is actually doing. But an examination of the 20 largest regions of DNA that have evolved in this way shows that they include several genes which are associated with cognitive ability, and whose malfunction causes serious mental problems. These genes therefore look like good places to start the search for modern humanity’s essence. G The newly evolved regions of DNA also include a gene called RUNX2, which controls bone growth. That may account for differences in the shape of the skull and the rib cage between the two species. By contrast an earlier phase of the study had already shown that Neanderthals and moderns share the same version of a gene called FOXP2, which is involved in the ability to speak, and which differs in chimpanzees. It is all, then, very promising - and a second coup in quick succession for Dr Paabo. Another of his teams has revealed the existence of a hitherto unsuspected species of human, using mitochondrial DNA found in a little-finger bone. If that species, too, could have its full genome read, humanity’s ability to know itself would be enhanced even further. The face of the ocean has changed completely since the first commercial fishers cast their nets and hooks over a thousand years ago. Fisheries intensified over the centuries, but even by the nineteenth century it was still felt, justifiably, that the plentiful resources of the sea were for the most part beyond the reach of fishing, and so there was little need to restrict fishing or create protected areas. The twentieth century heralded an escalation in fishing intensity that is unprecedented in the history of the oceans, and modern fishing technologies leave fish no place to hide. Today, the only refuges from fishing are those we deliberately create. Unhappily, the sea trails far behind the land in terms of the area and the quality of protection given. For centuries, as fishing and commerce have expanded, we have held onto the notion that the sea is different from the land. We still view it as a place where people and nations should be free to come and go at will, as well as somewhere that should be free for us to exploit. Perhaps this is why we have been so reluctant to protect the sea. On land, protected areas have proliferated as human populations have grown. Here, compared to the sea, we have made greater headway in our struggle to maintain the richness and variety of wildlife and landscape. Twelve percent of the world’s land is now contained in protected areas, whereas the corresponding figure for the sea is but three-fifths of one percent. Worse still, most marine protected areas allow some fishing to continue. Areas off-limits to all exploitation cover something like one five-thousandth of the total area of the world’s seas. Today, we are belatedly coming to realise that ‘natural refuges’ from fishing have played a critical role in sustaining fisheries, and maintaining healthy and diverse marine ecosystems. This does not mean that marine reserves can rebuild fisheries on their own - other management measures are also required for that. However, places that are off-limits to fishing constitute the last and most important part of our package of reform for fisheries management. They underpin and enhance all our other efforts. There are limits to protection though. Reserves cannot bring back what has died out. We can never resurrect globally extinct species, and restoring locally extinct animals may require reintroductions from elsewhere, if natural dispersal from remaining populations is insufficient. We are also seeing, in cases such as northern cod in Canada, that fishing can shift marine ecosystems into different states, where different mixes of species prevail. In many cases, these species are less desirable, since the prime fishing targets have gone or are much reduced in numbers, and changes may be difficult to reverse, even with a complete moratorium on fishing. The Mediterranean sailed by Ulysses, the legendary king of ancient Greece, supported abundant monk seals, loggerhead turtles and porpoises. Their disappearance through hunting and overfishing has totally restructured food webs, and recovery is likely to be much harder to achieve than their destruction was. This means that the sooner we act to protect marine life, the more certain will be our success. To some people, creating marine reserves is an admission of failure. According to their logic, reserves should not be necessary if we have done our work properly in managing the uses we make of the sea. Many fisheries managers are still wedded to the idea that one day their models will work, and politicians will listen to their advice. Just give the approach time, and success will be theirs. How much time have we got? This approach has been tried and refined for the last 50 years. There have been few successes which to feather the managers’ caps, but a growing litany of failure. The Common Fisheries Policy, the European Union’s instrument for the management of fisheries and aquaculture, exemplifies the worst pitfalls: flawed models, flawed advice, watered-down recommendations from government bureaucrats and then the disregard of much of this advice by politicians. When it all went wrong, as it inevitably had to, Europe sent its boats to other countries in order to obtain fish for far less than they were actually worth. We are squandering the wealth of oceans. If we don’t break out of this cycle of failure, humanity will lose a key source of protein, and much more besides. Disrupting natural ecosystem processes, such as water purification, nutrient cycling, and carbon storage, could have ramifications for human life itself. We can go a long way to avoiding this catastrophic mistake with simple common sense management. Marine reserves lie at the heart of the reform. But they will not be sufficient if they are implemented only here and there to shore up the crumbling edifice of the ‘rational fisheries management’ envisioned by scientists in the 1940s and 1950s. They have to be placed centre stage as a fundamental underpinning for everything we do in the oceans. Reserves are a first resort, not a final resort when all else fails. NOTE: Species reintroduction is the deliberate release of a species into the wild, from captivity or other areas where the animal survives.